Create a smooth transition between rooms and different floorings with Euro-Home flooring profiles. 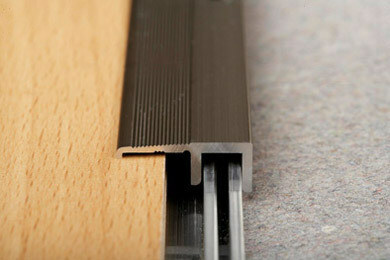 Achieve perfect edges with our end profiles. Our wide assortment of flooring profiles and mouldings are ideal for all rooms and installation conditions. 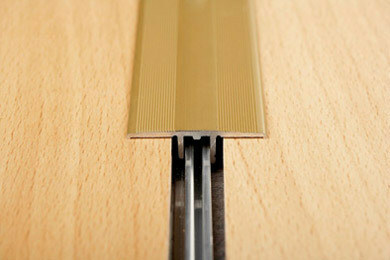 Movement Profiles: For level floorings. Screw or click-in fixing. Anodised in 3 modern colours or covered with high-quality wood decor films. Edge Beading: For clean finishes and joints at walls and other boundaries. Screw or click-in fixing. Anodised in 3 modern colours or covered with high-quality wood decor films. 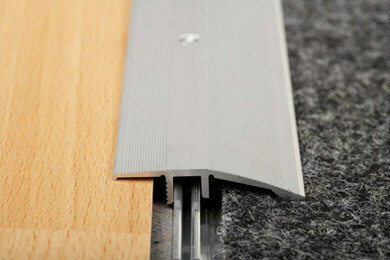 Levelling Profiles: For different flooring levels. Screw or click-in fixing. Anodised in 3 modern colours or covered with high-quality wood decor films.